Providing tents and camping equipment to festival-goers, with a model designed for maximum reuse, minimal behaviour change engaging incentives. Comp-A-Tent promotes a circular approach, which generates revenue for the festival for each tent sold and saves cash from disposal costs. Ever noticed how those pesky Tesco and Argos tents are ALWAYS the one left behind? But it’s you, the festival, that’s paying to clear them up…? 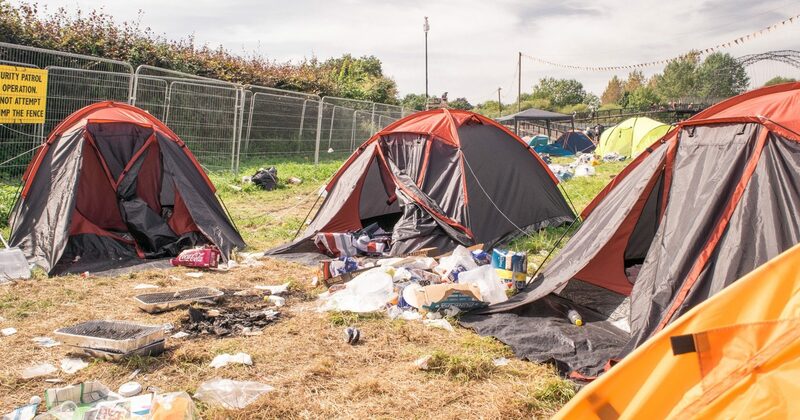 We’ve seen festivals paying over £100K, just to collect and incinerated abandoned tents. The harsh reality is that with less than 5% of these getting salvaged, whilst 1 MILLION tents are being incinerated each year. 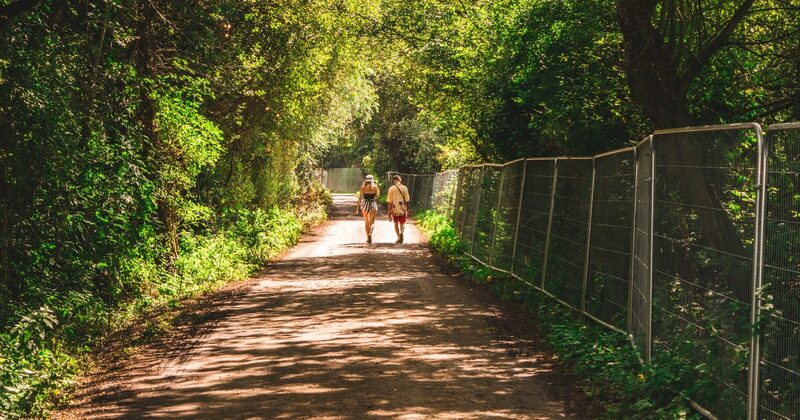 We pick the most sustainable tents, solve the festival-goers fear of “commit-tent” by collecting them back and reward them for their good behaviour – leaving clear fields, less rubbish and happier punters. The tents then go on to have a useful second life as we deliver the tents, en masse, to our reuse partner, Gift Your Gear. Gift Your Gear provide outdoor equipment to UK community organisations, youth groups and charities working with young people in the outdoors. Interested in seeing how you can get involved to challenging the festival industry and delivering greener, more cost-effective solution and experiences? 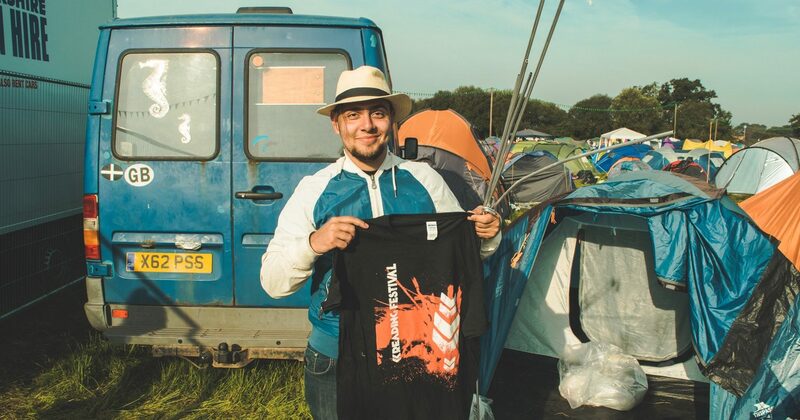 We lease pre-purchased, ‘box-fresh’ tents to festival-goers from our on-site stall After the event, each punter picks up their festival merchandise, when they return their tent. These lightly-used tents are collect and delivered en masse, by Comp-A-Tent, to charity partners such as ABC and Gift Your Gear, for a second life as shelter for refugees and outdoor Youth programmes.